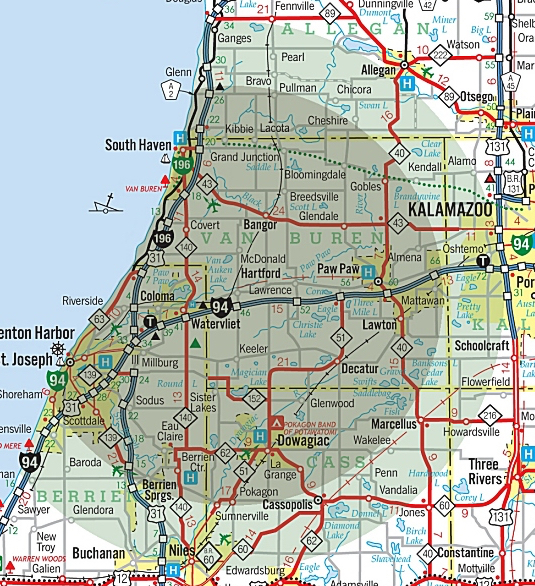 We serve the areas of; Watervliet, Coloma, Hartford, Dowagiac, Paw Paw Lake, Sister Lakes, and many more. Jet Skis and all you need delivered right to your door in Southwest Michigan. Dark green circle is free delivery for rentals. Light green circle is subject to a $150 delivery fee and 1 week rentals only. Get into Summer with, Rent A Watercraft's Jet Skis. Now taking reservations for 2019. PFD's provided in multiple sizes. Unit delivered with a full tank of gas.